SAMS Modules listed below may be purchased as a bundle (www.neuropath.org/sams-bundle) for $150. Alternatively, individual SAM Modules may be purchased using the links below for $25 per module. Prion diseases are relatively infrequently encountered, leading to poor individual experiences in the diagnosis of these diseases. 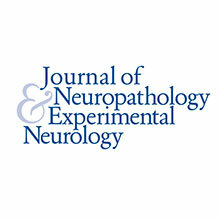 There is an educational need for practicing neuropathologists regarding recent advances in laboratory testing, diagnostic criteria, and theoretical risk for zoonotic prion disease. List 3 histopathological features (exclusive of spongiform degeneration) which suggest the diagnosis of prion disease. Explain why CSF RT-QuIC testing is superior to CSF 14–3–3 testing in the diagnosis of prion diseases. Discuss the risk of zoonotic prion disease in the United States. Explain the role of NPDPSC in the evaluation of patients dying from prion disease. This SAM is worth 1 CME credit. The amygdala is a complex and imperfectly defined brain region, and its roles in neurodegenerative diseases are poorly understood by the neuropathologists. Neuropathologists need knowledge to understand the important implications of the pathologic misfolding in amygdala for the pathogenesis of neurodegenerative diseases, and for the biomarkers used to diagnose those diseases. Explain the anatomy, connectivity, and vascularization of amygdala. Summarize the neurodegenerative disease pathologies in the human amygdala. The target audience needs more information regarding the major clinical presentations and pathologic changes of CNS Erdheim-Chester Disease. Further, they must be able to apply the major differential diagnosis of CNS Erdheim-Chester Disease. Describe the clinical presentations of CNS Erdheim-Chester Disease (ECD). Summarize the major clinicopathologic changes of CNS ECD. Outline the major differential diagnosis of CNS ECD. Advances in glioblastoma therapy have been slow in the last 10 years and are only mildly effective in prolonging overall survival. Molecular understanding of the ERK (extracellular regulated kinase) pathway and how it interacts with many pathophysiologic processes in cancer suggest that it may be a useful target for therapeutic intervention in glioblastoma. New ERK inhibitors are in clinical trials for many solid tumors, including glioblastoma. Describe the pathways that ERK1/2 may be involved in controlling the pathophysiology of glioblastoma. Describe how ERK inhibitors may help in treating glioblastoma. The clinical significance of TDP-43 pathology in amyotrophic lateral sclerosis (ALS) is poorly understood by neuropathologists. It is very important for neuropathologists to understand the clinical correlates of TDP-43 pathology in ALS to yield greater patient-specific insights into this clinically, genetically, and pathologically heterogeneous disease. List the three pathologic subgroups of amyotrophic lateral sclerosis (ALS) patients. Describe the relationship between TDP-43 pathologic burden in ALS and cognitive impairment, duration of disease or rate of progression. Explain the clinical significance of TDP-43 pathology in C9ALS. Since molecular analysis is incorporated as part of the diagnosis of brain tumors, it is essential for neuropathologists and surgical pathologists to become familiar with mutations detected in brain tumors by commercially available next generation sequence (NGS) assays. Neuropathologists and surgical pathologists need to identify the mutations that can be detected reliably by immunohistochemistry to assist with the diagnosis of brain tumors. Identify molecular characteristics of primary brain tumors. Indicate which immunohistochemistry analysis best correlates with the presence/absence of mutation by DNA sequencing. Neuropathologists encounter a variety of challenging neuropathological diseases in their daily practice. In order to effectively and accurately diagnose a wide-range of diseases, neuropathologists must be up-to-date on diagnostic criteria and techniques and be able to distinguish between diseases of the central nervous system. Describe advancements in diagnostic criteria and techniques for diseases of the central nervous system. Apply diagnostic criteria to develop differential diagnoses. Recognize the underlying causes of diseases of the central nervous system. This SAM is worth 2.5 CME credits. Please Note: This educational activity is available to individuals who did not attend the 2018 Annual Meeting at which the 2018 Diagnostic Slide Session was presented live. To access this educational activity, you must request permission. Please e-mail Sarah Porter at [email protected]. The pathological findings of intraventricular hemorrhage (IVH) and mechanism(s) of post- hemorrhagic hydrocephalus (PHH) following intraventricular hemorrhage (IVH) are poorly understood. Neuropathologists need to be educated in the abnormalities associated with intraventricular hemorrhage in order to describe the incidence and pathological mechanisms of these abnormalities. Identify ventricular and periventricular abnormalities in preterm infants with intraventricular hemorrhage. Describe the developmental progression within the ventricular zones in neonates, and techniques for identifying various progenitor cells. Explain the proposed pathological mechanisms of intraventricular hemorrhage and/or posthemorrhagic hydrocephalus following IVH. The diagnosis of primary intracranial tumors can occasionally be challenging, and the field of immunohistochemical markers is ever in progress with new antibodies frequently emerging in the literature. Making the correct diagnosis is crucial for adequate treatment, since the prognosis of a meningioma can be significantly different from that of other morphologically similar tumors. Therefore, a deep understanding of the adequate use, sensitivity, and specificity of several "old" and "new" markers for certain diagnoses is necessary for better outcomes in neuropathology. This educational activity aims to present robust data on the use of several markers in the diagnosis of meningioma and other leptomeningeal based neoplasms. Identify the best immunohistochemical markers to positively diagnose meningiomas. Recognize the best immunohistochemical markers to identify histological mimickers of meningioma. Neuropathologists need a comprehensive understanding of the most common abnormalities associated with prenatal alcohol exposure (PNAE) and fetal alcohol spectrum disorder (FASD) in order to recognize the disorder at the time of autopsy. The knowledge of FASD-associated abnormalities should lead to better reporting of the gross and histologic findings. Describe the most common neuropathologic malformations associated with FASD and PNAE. Describe differences in manifestations of FASD in relation to patient age. Outline maternal risk factors and epidemiology of FASD. It is generally not recognized that chordomas can be seen in a tumor predisposition syndrome; although rare, pediatric chordomas may be associated with tuberous sclerosis complex and this article and SAM highlight this association. Explain the histological features and immunophenotype, including utility of brachyury IHC, for chordoma. Recognize that occasionally, poorly differentiated pediatric chordomas can show loss of nuclear INI1. Outline the potential association between pediatric chordoma and tuberous sclerosis complex. The educational design of this activity addresses the needs of physicians and scientist in the field of neuropathology and neurology who are interested in the diagnosis, management and research of dementia. Explain the morphology and the distribution of different ARTAG types. Describe the correlation of ARTAG with clinicopathological and genetic variables. The educational design of this activity addresses the needs of physicians and scientists in the field of neuropathology and neurology involved in the research and prognosis of WHO grade III anaplastic ganglioglioma, as well as the diagnosis and/or treatment of patients with cancerous brain tumors. Describe clinical, imaging and histopathological features of anaplastic ganglioglioma in adult and pediatric cases. Determine which molecular features can be seen in anaplastic ganglioglioma. Determine which differential diagnosis to consider and the histopathological criteria needed to distinguish other entities from anaplastic ganglioglioma. The educational design of this activity addresses the needs of practicing neuropathologists and surgical pathologists. After completing this activity, participants should be better able to:dentify the histologic differences of endothelial cell hypertrophy(ECH), microvascular proliferation (MVP), and microvascular density (MVD). Identify the histologic differences of endothelial cell hypertrophy(ECH), microvascular proliferation (MVP), and microvascular density (MVD). Compare prognostic value of WHO grading of meningiomas with proposed histologic features (ECH, MVD, MVP). Assess the effectiveness of the discussed histologic features of angiogenesis (ECH, MVD, MVP) in regards to survival endpoints and inter-observer reproducibility. The educational design of this activity addresses the needs of physicians and scientists in the field of neuropathology and neurology involved in pediatric diseases of the central nervous system. Describe sudden infant death syndrome (SIDS) and sudden unexplained death in childhood (SUDC). Articulate the age cut off between SIDS and SUDC. Explain the clinicopathologic features of hippocampal formation maldevelopment in sudden unexpected death in different pediatric ages. The educational design of this activity addresses the needs of physicians and scientists in the field of neuropathology and neurology involved in the study of neurodegenerative diseases. State the demographics of AGD. Recognize the clinical features of AGD. Apply the neuropathological diagnostic criteria of AGD. Describe and compare clinical and pathologic characteristics of Alzheimer Disease, primary age-related tauopathy, and hippocampal sclerosis of aging/cerebral age-related TDP-43 and sclerosis. Recognize hippocampal sclerosis of aging as a mimic of Alzheimer Disease common in older individuals with cognitive impairment. List some genetic risk factors that contribute to TDP-43 pathology and hippocampal sclerosis. 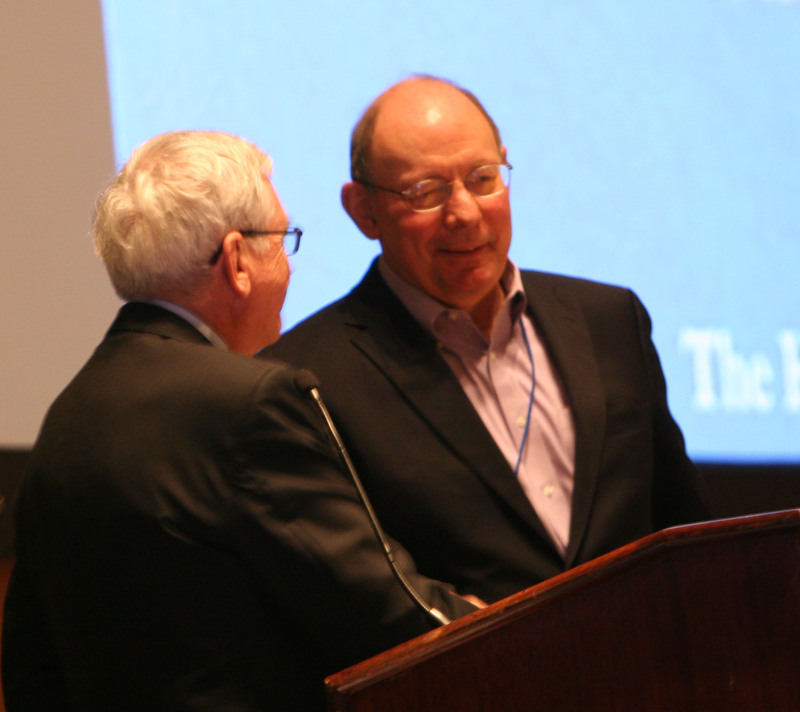 There is a remarkable increase in our understanding of neuro-oncology in the last few years. More and more mutant-specific antibodies are now available to detect oncogenic genetic changes in brain tumors, which can help refine diagnosis, establish prognosis, and guide therapeutic approaches. However, these affordable and powerful means are not being fully taken advantage of. Therefore, neuropathologists need to better understand the diagnostic use of immunohistochemical surrogates for signature molecular genetic alterations in brain tumors. This 1-hour SAM aims to present the most critical components of this diverse group of disorders. Recognize the significance of immunohistochemical surrogates for signature molecular genetic alterations on gliomas. Identify the appropriate diagnostic use of immunohistochemistry for identifying common molecular alterations such as IDH1/2, TP53, ATRX, histone, BRAF, CIC and FUBP1 mutations, EGFR status and MGMT promoter methylation in adult and pediatric gliomas. Many Neuropathologists are not familiar with the pathologic features of X-linked myotubular myopathy (XLMTM), nor are they familiar with the animal models being used to investigate potential therapeutics. Correct diagnosis of XLMTM is important in the practice of Neuropathologists who review muscle biopsies. It is also important for Neuropathologists to be aware of advances in research in XLMTM, particularly in relation to animal models being used to study potential therapeutics. Therefore, Neuropathologists need tools and strategies to better understand correct diagnosis and to appreciate the ongoing research on XLMTM. Summarize the distinctive pathological features of X-linked myotubular myopathy (XLMTM) in humans. Discuss the function of myotubularin in human muscle. Compare and contrast the features of available animal models in the study of XLMTM. Chordomas are locally aggressive, highly recurrent, chemoresistant tumors with no assigned WHO grade. Due to the rarity of this tumor type, no definitive criteria exist for prognostic stratification. Histopathologic correlations for prognostication and biomarkers to guide therapeutic approach are beneficial for optimized patient management. Therefore, Neuropathologists need tools and guidelines to prognostically stratify chordomas. Assess prognostic stratification based on proposed histopathologic and immunohistochemical methods as proposed by the paper. Identify molecular characteristics of chordomas. Discuss clinical and histological features of primary versus recurrent chordomas. The educational design of this activity addresses the needs of physicians and scientists in the field of neuropathology and neurology involved in the research, diagnosis, and prognosis of metabolic disorders affecting the central nervous system. Explain clinical and radiologic correlations in Leigh syndrome. Summarize the molecular genetic characteristics of Leigh Syndrome. Discuss application of the Ndufs4 mouse animal model and hypoxia model findings to clinical practice.